This is one of our favorite quick meals. 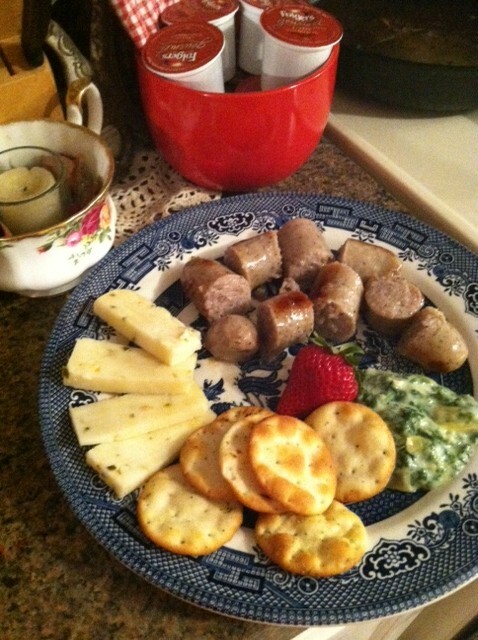 Perfect for a Friday night while watching the game, or any time you need something quick, but good. Brats, pepper jack cheese. Spinach-artichoke dip from the freezer section of the store. Crackers and some strawberries. I usually get Johnsonville brats, but any brand will probably do. Heat them in the skillet with a little water. After they've heated through and through, let the water boil away and let the brats brown a little bit. I buy the TGIFriday's spinach-artichoke dip from the freezer section. Heat it in the microwave. Buy your favorite crackers to scoop it up with. 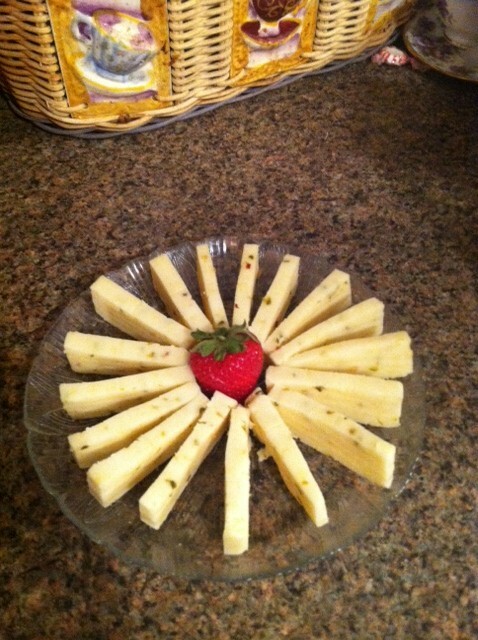 Slice up the cheese, and add a strawberry or two to make the plate more colorful. Quick, easy, and very flavorful. And just for fun, you can make your cheese into a wheel. Lol.